Anders Ourom is an unlikely climber. He has been climbing since the early 1970s, and has done many modest routes at Squamish and elsewhere in B.C., and in the U.S. west, England and Norway, as well as lots of mountaineering and backcountry skiing. He once did triathlons, including the Ironman in Hawaii. He likes to read and write, especially about climbing, and has been very involved in climbers’ organizations, in particular the Climbers’ Access Society of B.C. He will talk tonight about how a frail and nerdy boy decided he wanted to be a climber, and how (with more than a little help) he was able to accomplish that goal, with a few interesting adventures along the way. Adventures and feats take a wide variety of forms, and a lot depends on perspective – doesn’t it? 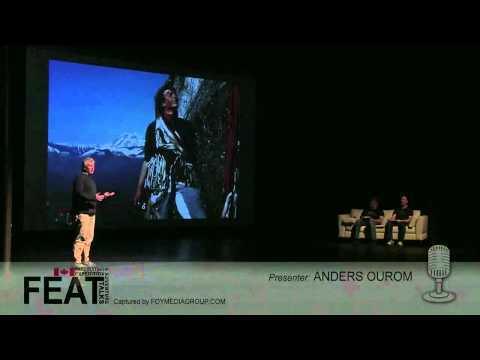 One Response to "Anders Ourom – FEATs Come In Many Different Shapes and Sizes"
Genuinely hard to believe that this was its first year in Canada. Hats off to Sean Verret and his team for really great job.